On the 21st of march winter is over, from the 17.3-19.3 I got lucky and the long awaited weather window appeared. I dedicated a lot of time and sacrificed bouldering strength to prepare for my winter project, something I have never done before. It was a new challenge, which felt pretty impossible at the beginning. When Alex Huber told me about his new line at the Wetterbockwand I was blown away as it offers steep bullet limestone, is very runout and in a pretty remote area. 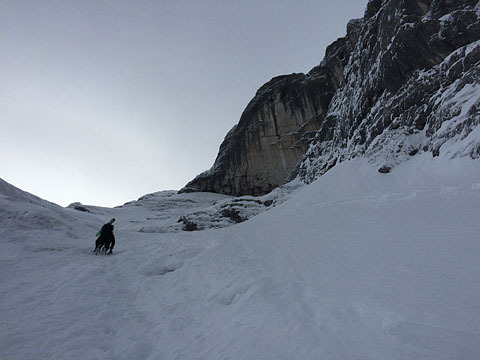 Months later, I started thinking about a possible solo winter ascent. I knew it was going to be very tough. Alex was sceptic about my idea, but supported me from the beginning. 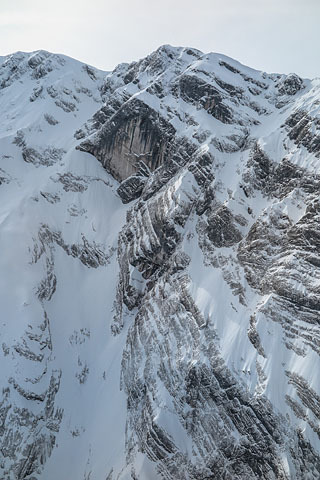 Along with him and Lukas, I explored the approach and stashed some gear near the wall.Not only the climbing is difficult, the steep snowy approach has a high risk of avalanches and takes about 4 hours. Most of it is possible on skis, but the last 350 vertical metres of the couloir are way to steep; it's an interesting mix of climbing and hip deep snow digging. But a full-on winter experience was exactly what I wanted. I was willing to go all in to realise my dream. On this kind of limestone placements for cliffs or other protection in order to rest or aid over a difficult section are rare. Therefore, the only remaining option is free climbing. As usual Alex's bolts were far apart, after the first bigger falls I started to trust my self-belay system again and did not care anymore. The only thing I worried about was the next belay, the air mile collection grew steadily. Sometimes I spent 40 min. in the runout climbing back and forth, not knowing my way and trying to find the path of least resistance. Deicing holds with my free hand or cleaning snow from ledges. 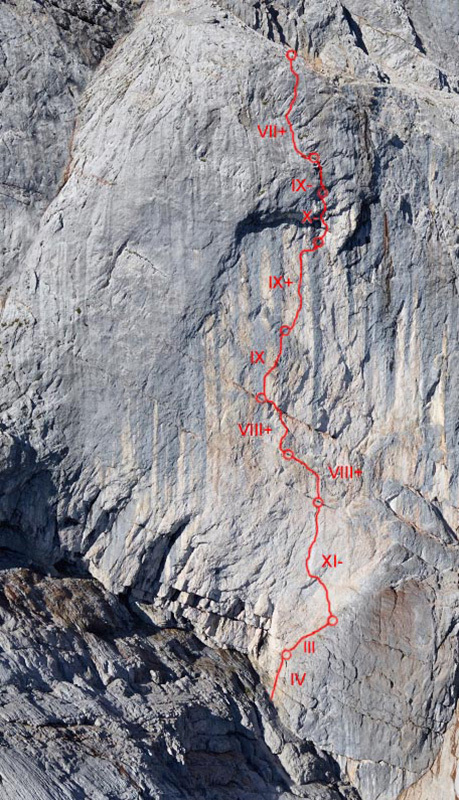 In the end luck was definitely on my side in some situations and I could realise the first repeat from the Wetterbockwand 8c at Hoher Göll North face. Waking up in the cold each day at 4:30 AM and climbing until it got dark was a new experience and it felt good to see how my body works in such a situation. I was 100% focused at all times and felt confident, I did not question any decision I made and never felt tired. Only after reaching the save trail to the car, the adrenaline dropped and I was overcome by a crazy fatigue. 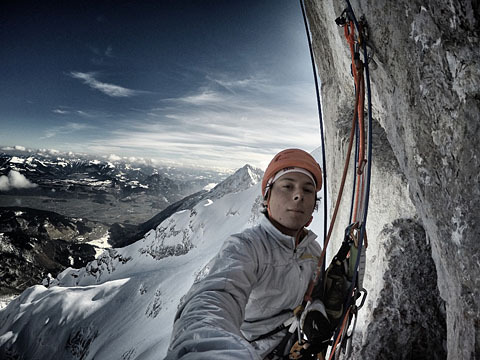 Never would I have thought that I need to dig so deep, to reach the top of this incredible route in winter! Now I am unbelievably happy that it is over and I made it back safely!